This workshop will focus on the computational aspects of the theory of Euclidean lattices and on their applications to other areas in mathematics and computer science. It will put emphasis on computational challenges on lattice problems that have recently arisen from unexpected connections to other domains such as algebraic topology, automorphic forms, or cryptography. A major goal of this workshop is to bring together researchers from different areas, working with Euclidean lattices, and to facilitate their interactions. Topics will include the reduction theory of lattices and its applications, Voronoi algorithms and their use to compute the cohomology of arithmetic groups, the classification of lattice genera and the computation of spaces of modular forms, the algorithmic aspects of lattice based cryptography, in particular the relationship between the security of cryptographic primitives and the hardness of lattice problems. The arrangement of point configurations in metric spaces, whether deterministic or random, is a truly interdisciplinary topic of great interest in mathematics, physics and computer science. Mathematical aspects involve optimization, discretization of manifolds, best packing and cubature, among others. 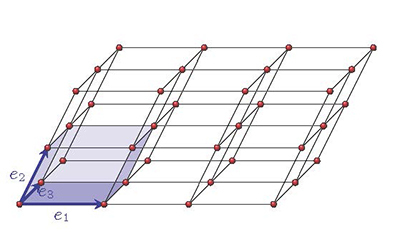 For physics, such configurations arise in the study of crystallization, point processes connected with random matrices, self-assembling materials, jammed states, hyperuniformity and phase transitions. For computer science, extremal point configurations play a fundamental role in coding and information theory, and lattice-based protocols in cryptography and related computational complexity issues are of growing importance. Furthermore, there has been recent and substantial progress on related age-old problems (such as the Kepler conjecture). 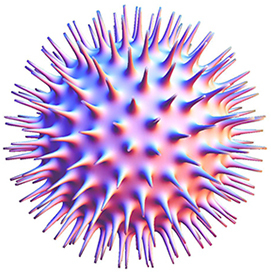 This workshop will focus on probabilistic and physical aspects of systems of interacting points: their statistical mechanics, phase transitions, and ground states. Such systems include random point processes arising in probability and statistical physics, such as random matrices, determinantal processes, zeros of random polynomials, disordered ground states, and hyperuniform systems as well as configurations satisfying a geometric or analytic optimality constraint. Special cases also involve disordered and ordered sphere packings and covering problems. This workshop focuses on fast algorithms for the generation of high quality point configurations and meshes such as hierarchical schemes combined with energy or geometrical optimization techniques. 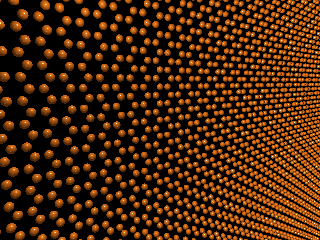 Energy methods utilizing appropriate potentials for a prescribed density on a given manifold have been effective in generating point configurations with good covering and packing properties. These methods rely on efficient energy, gradient, and potential computations which can be achieved by hierarchical algorithms that model a system in a recursively compressed (low-rank or low-dimensional) form where information is transmitted non-locally on a hierarchical tree structure. 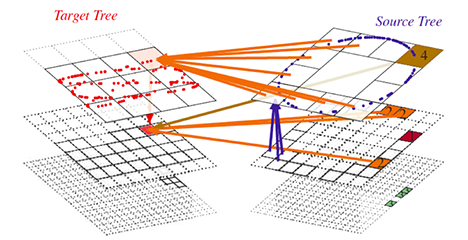 Different aspects of this technique can be found in the classical FFT, multigrid, and fast multipole method (FMM), as well as the recently developed fast direct solvers, multilevel models in statistics, and convolutional neural networks in deep learning. 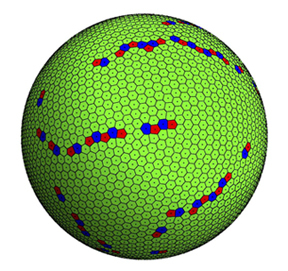 The packing and covering of equal geometric shapes, such as spheres or convex polyhedra, are classical geometric optimization problems. They have a long mathematical tradition and were for instance part of Hilbert's famous twenty-three problems for the 20th century. Nevertheless, seemingly simple packing and covering problems are still extremely hard to solve and generally, far from a solution. Likewise, minimal energy problems for pair potentials, of which best-packing is a special case, have many such unresolved questions.